Don't just install new flooring, customize your room around it! Remodeling a room in your home sounds like a daunting task at first, but we have the experts at B&S Carpet One to help you! If you plan on staying in your home for a long time, go big, bright and bold, but if you are looking to remodel for the purpose of reselling your home, then stick with something that appeals to a large market. 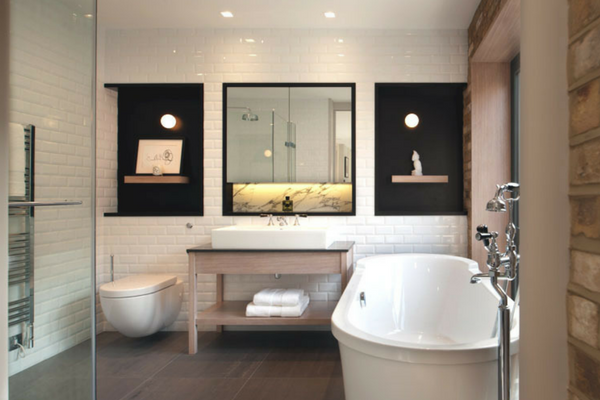 Updating a bathroom can be as simple as some fresh paint and new lighting, but why stop there! Changing the flooring can give your bathroom a fresh new look. We recommend using luxury vinyl flooring to get the natural look of hardwood but with water proof protection! A major benefit we point out to customer updating their homes is you can use floating installation vinyl flooring so you don’t have to rip up your old floors! Tile doesn’t just belong on floors, if you have a stand up shower we can work with you to customize it wilt wall tiles to make a unique look that fits your style. Depending if you change your vanity, we can get the shower tile to match the countertop. Looking at a remodel from a design aspect if you are looking to resell your home we recommend sticking with a gray color scheme. 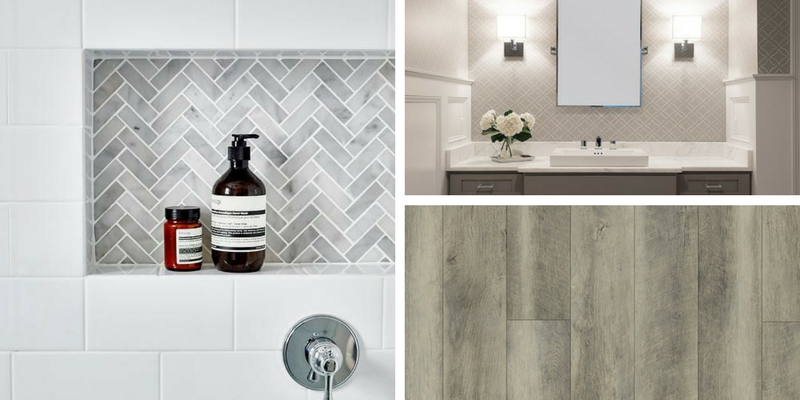 Grey flooring contrasted with stark white accessories such as a vanity and shower tile will make the new floors stand out. For an update you are doing for yourself, sticking with warm wood look floors and bright colors on the wall and small accessories will tie your bathroom together.